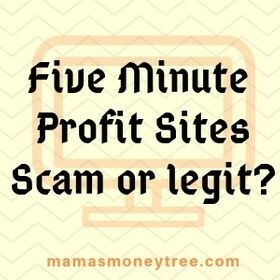 I’m guessing you found this post to figure out how big is the Five Minute Profit Sites scam. I hear you, this is a pretty suspicious product, that’s quite obvious. There are so many dubious things about it, I will go into all the details in this post. Website: http://five-minute-profit-sites.net for the software; http://5minuteprofitsites.com for the ebook. This is basically a sales funnel landing page proclaimed as a secret software, to promote ClickBank products. You won’t be earning much at all, if anything, because nothing substantial or useful has been taught to you about how to market your page. Five Minute Profit Sites basically tries to sell you a pretty useless product at $37, that can disappear anytime because the ‘secret software’ is hosted with them. So all the hype in the promotional video is to ultimately make you buy their product, which earns them the money, not you. If you’re tired of wasting your time and money on useless products, see my #1 recommendation to make money online the proper way. Read on for the in-depth review of Five Minute Profit Sites. If you have watched their promotional video, you would have seen for yourself that it contains lots of hype and unrealistic claims, about making tons of money the moment you download their free secret software. It is consistent money that you can make everyday from a secret industry estimated to be worth over $12.3 million a year. It is a goldmine hidden away from public, completely new and unseen, even though it is 100% legal and ethical. You get a free license to use their secret software at the end of the promotional video, which will get your new website done for you in under 5 minutes and 17 clicks. Then they show you paychecks of people who are using their software, making more than $13,000 in a week, and another making $60,000 a week! You can do it too! Or so they say… you just need to know the insider secrets to earn money like this, week in, week out. And the insider secret is simply their secret software, which works on such simple concept of point and click, that even Sam Smith’s grandpa can earn instantly if he wants to! They further announce that this software is designed for beginners or for people who have tried to make money online before, but failed. It is not for people who are already making $100,000 a year or more from the internet, because you should let someone who really needs it take the spot. They even show a ‘live demo’ of setting up a ClickBank account, setting up your ‘website’ which is hosted by them, and setting up Aweber account for email marketing. These are the supposed right tools which actually work, because the software uses a secret algorithm that finds websites which sell the best products, for you to market to your customers. Next, they declare that they will hold your hand and give you a step by step method to send thousands of people to your website. These visitors will turn into money in your bank account, because your website comes with a sales video, presented by a professional actor, who will convince your visitors to buy the products you sell. Your visitors will also be promised a free money making system which is valued at $197, by entering their email address. Upon downloading their free system, your website will send them to a ClickBank product through your ClickBank affiliate link. If they buy it, you get paid up to 75% commission. At this point they show the earnings to a brand new website that they created ‘live’, which earns $662 on day 4, and over $1000 by day 7. Sounds too good to be true? Because it in fact is too good to be true. Exposing the Five Minute Profit Sites Scam? Or revealing the light to earning $519 a day? I know affiliate marketing, and this is the completely wrong way of doing it. 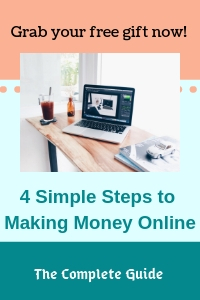 They say people who are already making lots of money on the internet should not sign up for this, precisely because those successful people will know how things work, and will be able to see through their plot immediately! Let’s take the Five Minute Profit Sites scam apart, and analyse it so you can see for yourself whether or not they are selling a legit product to beginners who are just trying to earn some money online. Let’s start from the owner of this product: Sam Smith. She is a dubious character, I don’t think it is even her real name. Try to do a search, it comes up with nothing. So that’s one red flag – unreal characters who don’t have any reputation, so they don’t have to take responsibility for anything. In the promotional video, they keep stressing on the FREE secret software once you get to the end of the video. But it turns out that you actually have to pay $37 for it! So much for honesty and transparency. That’s not all. After you buy the product, there will be 2 to 3 upsells that will be promoted to you through rather aggressive advertising. You would be tempted to buy in, because without those upsells, you will feel clueless and stranded about how to actually make real money. The hidden costs are high. The first upsell is $197, second is $137 or $187, and the third one is $97. Moreover, the website that you are getting is not your own website at all, it is simply a landing page, which is hosted at God-knows-where, something that you have zero control over. So should they decide to shut down their website or terminate the hosting, you would have nothing left. Again, not transparent with you. So many dubious companies like this come and go, exactly because they are not legitimate. They sprout out one day, make some money from unsuspecting people, and make a run for it because they just can’t hang around for too long. Everything is secretive: secret industry hidden from public eyes, insider secret method, secret software, secret algorithm. Do they take the whole world for fools? Real, sustainable traffic comes through social media marketing, or search engines ranking. Either way, both require work, months of hard work and consistent effort, in order to build trust and rapport with your readers, by genuinely helping to solve their problems, provide the answers that they are looking for. 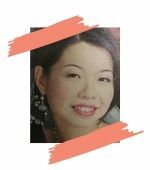 Yes, it is possible to get free traffic, but not without grit and persistence to make your readers as well as the search engines trust you first. There is no magic software that will get you thousands of visitors and let you earn hundreds of commission within a week of setting up your website. Your visitors are real people, who have minds of their own, and can tell if the products are going to help them or not. They are not just robots to make up the numbers and let you have money automatically start rolling in. There may be some training videos on getting traffic, provided by Five Minute Profit Sites, once you buy in to their relevant upsells. But there is nothing in there that you cannot find for free on the internet, and many of what they teach are obsolete anyway, like article marketing, press release, and forum marketing. The secret software requires you to sign up with Aweber, which is an email autoresponder. But it stops at that. Email marketing is a whole sea of knowledge in itself, which can bring up your marketing efforts by more than a few notches, if used properly. But there is nothing in Five Minute Profit Sites that gets you past the signing up and copying and pasting a code into the secret software. By the way, there is also a hidden cost of $19 per month for Aweber’s subscription, which is not communicated at all in the promotional video. The income statements they show, those can be so easily forged. This is the common tactic used by scammers, using money to lure those who are vulnerable. There is simply no way for any website which is a few days old to be consistently earning hundreds a day, not to mention thousands. Please, you have to run the opposite way when someone waves a big stack of cash in your face. There is no such thing as a free lunch in this world. You reap the fruits of your own labour. This point is rather rare, something I have not seen before, but highly suspicious. When I was trying to search for this product, two websites showed up (as mentioned in the summary section above). One is with the promotional video, which you get to download the ‘free’ secret software after viewing the entire video. The other website is to an ebook. Something really fishy is going on here. If they were a legitimate business, they would properly market their product on a single website, instead of having two versions of the same product. Having said all these, Five Minute Profit Sites scam is a huge one, in my opinion. The blatant cheating , repetitive stressing that the product is free in the promotional video, when it is actually not, is totally off-putting. Any product that tells you making money online is easy, without teaching you the proper strategies to do it, is out to scam. There are many millionaires and even billionaires out there who are earning a passive income online, working from home or anywhere for that matter, living the dream laptop lifestyle. These people have worked their butts off to get there. Fail and get up on their feet, fail again and get up again, they did this countless times before they slowly learn everything about how internet marketing works. So you want to succeed online and start earning from home, it is very much possible. You need to learn the right way of doing things, how to set up your own website that is yours until you pass it down to your next generation, how to create content on your website that will help your visitors, and get high ranking on the search engines. Trying to make money online can be a lonely journey. It can make the difference between success and failure, if you have a genuine community to reach out to, one where the successful internet marketers are there helping out the newbies, helping them succeed because the earning potential on the internet has no limits.